One of the most popular ways that people try to make money on the internet is by affiliate marketing. This is especially true of beginners for one simple reason – it’s perceived to be easy and quick. So can this really be true? Let’s start by looking at what affiliate marketing is and how you should go about it to maximize success. Affiliate marketing is simply taking someone else’s product, selling it and then taking a cut of the selling price. This business model is surprisingly common and many large companies do it. Amazon, for example, has an affiliate scheme. You can join this scheme, free of charge, and then place products from Amazon’s huge range onto your website and sell them, taking a small commission of every sale. The advantage, of course, is that Amazon takes care of delivering the product and tracking sales. The commission rates are relatively small at between 3% and 6% but this can soon mount up on bigger ticket items. 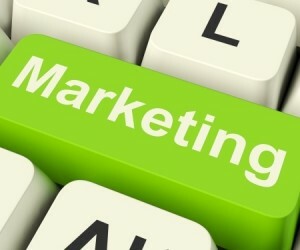 So, let’s assume that you have decided to enter the world of affiliate marketing. The best starting point is to decide what kind of products you want to sell. The choice is normally between physical products or downloadable e-products. The main difference is that the commission on physical products is far less than that on e-products. A typical e-book, for example, would pay commission of 50% – 80%. Start in a small niche market, one in which there is not likely to be too much competitive. This will make it easier to attract potential buyers and make sales. Once you have selected a suitable niche, the next step is to carry out some keyword research to ensure you use the right keywords that you can rank your future website for in the various search engines. The Google keyword tool is a free resource with which to find suitable keywords. These should be low competition but have a reasonable number of searches. Obviously the more specific the niche the lower the number of searches, but the ease of getting your site ranked highly will increase. Once you have selected your product and done your keyword research, it’s time to register your domain name and build a website. Domain names typically cost around $10 per year and hosting around $5 to $10 a month. If you lack the required skills to build a site then it’s easy to outsource the task relatively cheaply. The next step is to build up some quality and relevant content. This should present value to visitors to your site as well as presenting your chosen affiliate product in the best possible light. The products should have your affiliate links embedded – don’t worry these are normally provided by the owner of the product or an affiliate site such as Clickbank. I have seen a lot of good products that need to get out into the public view. I personally see to it, and make it easy to at least be able to view at any time, new and improved products including fashions of today. R.R.